Lost Loot Games: Canadian Content eh? Welcome to our Canada Day edition, where we are highlighting some of the great content that Cunuks contribute to the board game industry. This includes games/designers, board game companies, blogs, etc. While this list isn't exhaustive by any means, it is meant to highlight some Canadian powerhouses and shine a light on some lesser-known names. Roxley is a game company known for creating innovative, polished games with a focus on Euro-style games, direct conflict, 2 play games, and card games. 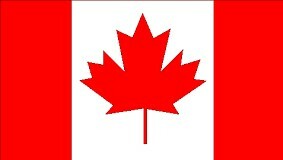 They are located in Calgary Alberta and make some of our favourite games. We find that their games are easy to get to the table with fast, fun gameplay, and great artwork. Plan B Games is a newer publishing company (2017) known for games that are beautifully made and constantly at the top of everyone's want list. The company is run by past Z-Man Games CEO, Sophie Gravel out of Quebec. Our biggest love of this company is the quality of their components when we unboxing Century: Spice Road we were amazed that there were metal coins and bowls for holding the wood spice cubes. While we have yet to play Blood Rage, it is not only on our radar but also part of our collection. Cody actually bought it for me after losing a bet of some sort last year. That said it hasn't quite made it to our table yet, I am still working on painting all those amazing miniatures. 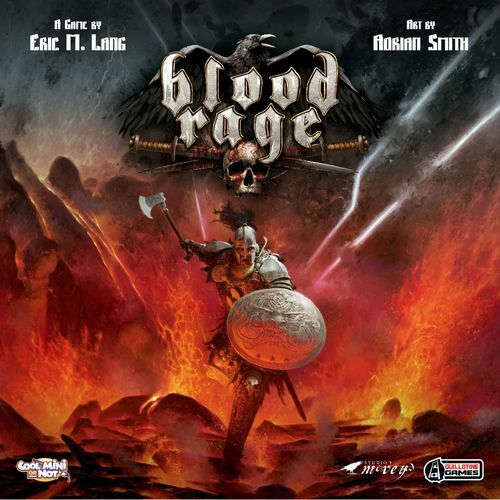 Although Blood Rage was published by an American company CMON it was created by Eric M. Lang a Canadian board game design legend. Eric hails from Montreal Quebec and has created not only Blood Rage but also Star Wars the card game, Call of Cthulhu, A Song of Ice and Fire miniatures game, and Quarriors. Sagrada is a game that we have played a few times with friends/family but don't currently own (but is on our want list). The game has a great theme, with beautiful table presences and sooo many dice. We actually played it most recently at Crossroads Cafe in Kitchener ON, and the owner told us that Daryl actually spent some time in the cafe designing it! Daryl Andrews has actually designed a number of other games including Dinosaur Island that was recently on Kickstarter for the second time. Currently on Kickstarter with 18 days left and double its fund amount, Wreck Raiders is definitely a Canadian game you may want to consider funding. The game is played by rolling dice to determine potential worker placement in order to gain victory points through a number of different avenues. The game has an underwater theme, in which players control divers look for treasure in the ocean and on beaches. Treasure can than be placed into a museum, a vault, or using trinkets found on the beach to fund an aquarium. The player with the most victory points at the end of the game wins. While we haven't played this game yet, it looks like it could be a very exciting game - definitely one we are keeping a close eye on. The game is designed and published by Canadians. Kids Table Board Games is run by Helaina Cappel. The Meeple Syrup show is a podcast and web show focused on board game design, specifically "Designers Discussing Design". The show is hosted by three Canadian's all from various parts of Ontario. With episodes range from thirty minutes to an hour and a half and cover topics running the gambit of the design industry. They offer a wide range of topics ranging from storytelling to games from an indigenous perspective. These uniquely Canadian gamers have guests from all over and host from cities across Canada. The Beard Meeple offers quick and simple video reviews of games from all different genres. This prolific Canadian reviewer has made hundreds of videos showcasing a variety of games, their mechanics, and how to play. He is from London Ontario, easily the second beset London in the world and knows whats up when it comes to board games. Snakes and Lattes is an institution for anyone in the Toronto area. 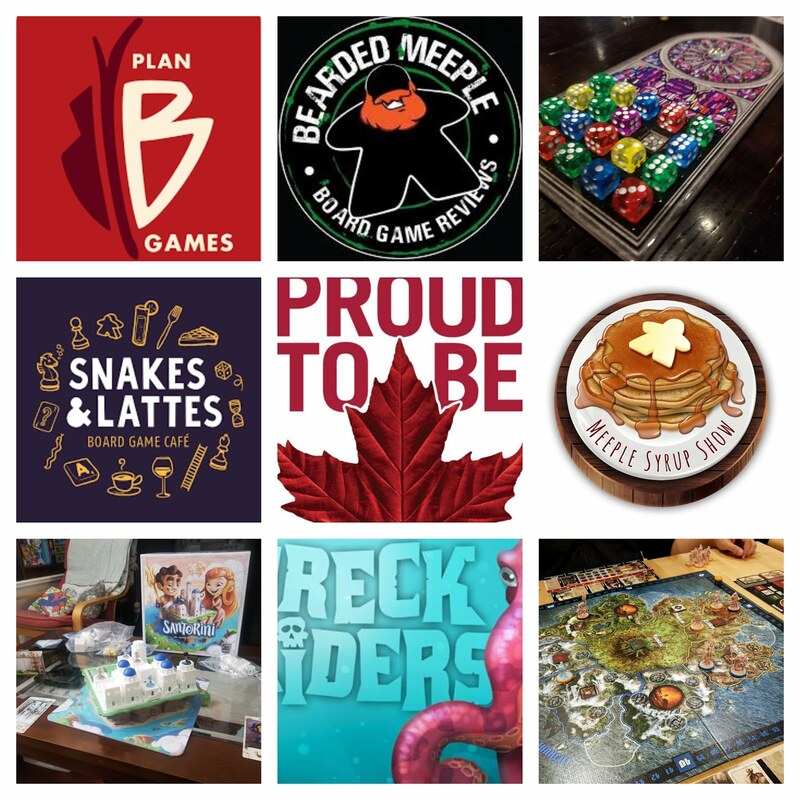 While they started a single board game cafe, Snakes and Lattes has grown, they have three locations throughout Toronto, an online game store, a blog, a podcast, a youtube channel, and even dabbling in board game design. They opened in 2010 and just last year announced it's own publishing division. We could write a whole post on Snakes and lattes as they have been sighted as the inspiration for board game cafes around the world. So next time you are in town make sure you check them out! Last but not least is ProtoT.O. 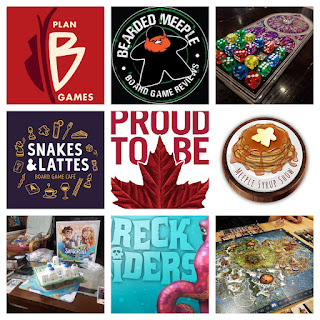 This is a community started in 2016 by Pam Walls, that provides board game designers with a place to test new games and players a chance to playtest new games. The group runs a convention ProtoT.O in downtown Toronto each year that helps designers expedite the design process and meet people in the board game industry. We had a chance to interact with this group at Breakout Con earlier this year and are volunteering to help at ProtoT.O later this year. As rookie designers, we love the concept and the community that this group has, game design can be daunting and it's always nice to know that you aren't alone. This is far from a comprehensive list but these are some of the content that Canadians have contributed to the board game hobby over the years. Who is your favourite Canadian designer? Who did we miss? Comment and let us know! I'm so proud to read this. When I read it, I learned more about technology. Thank you.